Tom Norton Designs has created a unique Walnut Drawing stick for use with his Walnut inks. The fine nib of the stick is carved from bamboo and the felt brush on the other end is perfect for a wide variety of stroke widths. 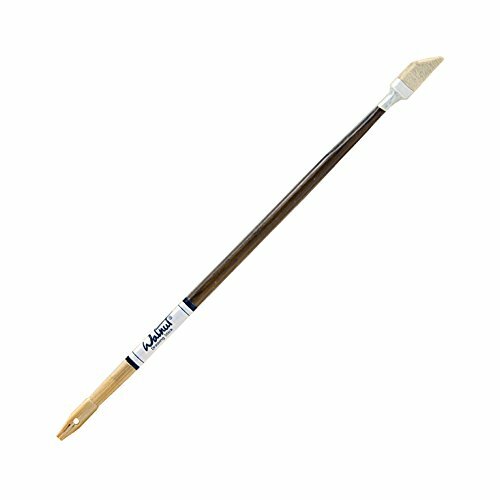 You no longer have to tape a pen nib to the other side of your watercolor brush. It's all in one! If you have any questions about this product by Tom Norton Design, contact us by completing and submitting the form below. If you are looking for a specif part number, please include it with your message.